When you apply for a position as a library assistant, be sure to include your experience in the field, as well as any academic background and degrees that support your application.Match the set! 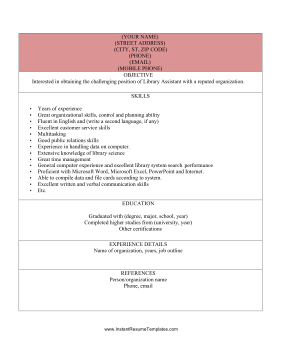 Create a unified and professional application by pairing this resume with the matching cover letter here. More sample cover letters can be found at CoverLetterExamples.net.